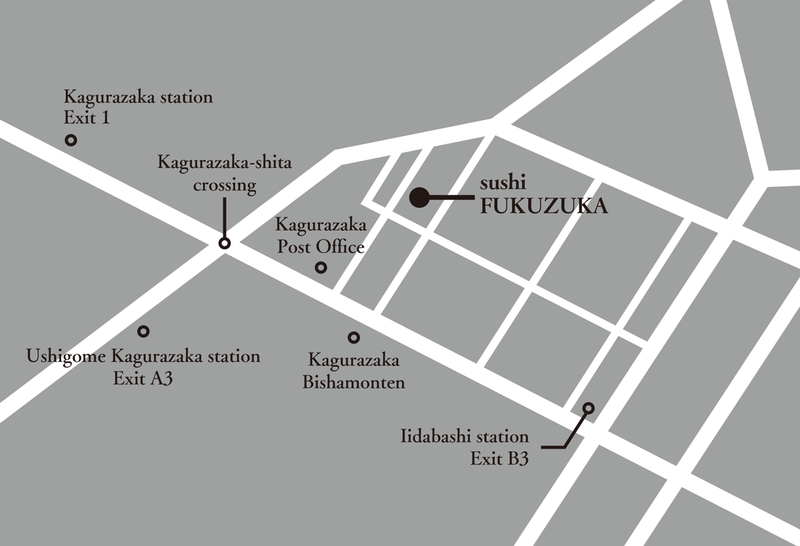 At Fukuzuka you will be enjoying more than the sense of taste. The atmosphere, the sense of smell, and even the sense of touch. The sushi and sake tastes even better when served with our fine tablewares. The light settings and flowers also create a mood for enjoyment of the courses we provide. Let our chef decide your meal and drinks. The drinks you may choose are brought by experts of wine, champagne, sake, and shochu. Drinks over 5go (750 ml.) will be an additional charge on the bill.